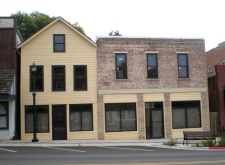 The Seybold Building, located in downtown Eudora, was built in stages during the 1880s. 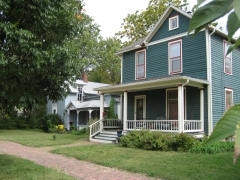 German immigrant John A. Seybold, a tinsmith by trade, acquired land in downtown Eudora in 1870 and built a stone building on the north side of the lot in 1883 that connected to a brick building on the south side. Seybold, whose story is indicative of other immigrant German families that settled the Eudora area in the mid-19th century, operated his hardware business from this building, but he died in 1884. 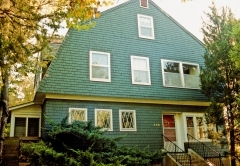 His wife Bertha Seybold managed the property through the 1910s. 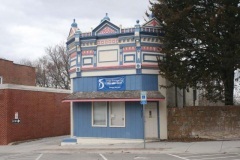 The Eudora Post Office moved into the building in 1897, where it remained until 1916. Beginning in 1920, the Trefz family operated various businesses from the building, including the Trefz Tin Shop and Trefz Plumbing, Heating, and Electric Store. 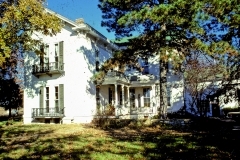 The Eudora Area Historical Society recently acquired the building with the intent of housing its museum. 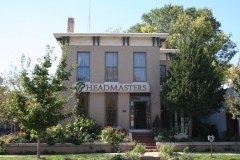 It was nominated for its local significance in the area commerce. On March 10, 1892 The Eudora News proclaimed, "Eudora is to have a bank." 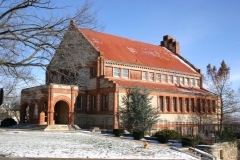 The small one-story brick and stone building opened its doors in June 1892. 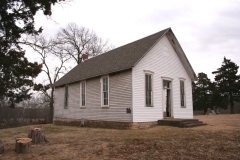 The bank's first president was Charles Pilla, an immigrant from Bavaria who settled in Eudora in 1865 and opened a general store. The State Bank failed in 1923 and was then used by the Home State Bank and later the Kaw Valley State Bank. The building has long drawn the attention of passersby with its ornate and highly decorative cornice. 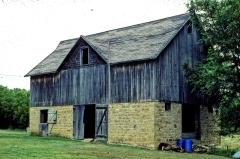 It was nominated to the Register of Historic Kansas Places for its local significance in the area of commerce. 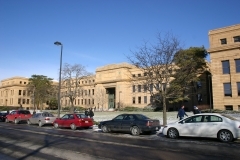 213 Strong Hall, University of Kansas, Jct. Jayhawk Dr. and Poplar Ln.